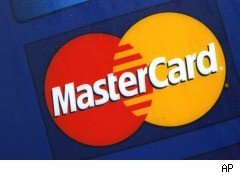 MasterCard (MA) and Visa (V) may face a legal challenge to their decision to cut ties with WikiLeaks. DataCell, a data-hosting company based in Iceland, says that the two companies' refusal to process donations to WikiLeaks are costing it revenue. DataCell had previously facilitated the donations. "The suspension of payments towards WikiLeaks is a violation of the agreements with their customers," DataCell CEO Andreas Fink said in a statement. The company "has decided to take up immediate legal actions (sic) to make donations possible again." WikiLeaks has found it increasingly difficult to operate in the last week as a tide of negative opinion prompted companies such as Amazon and PayPal to refuse to work with the whistle-blowing website. Companies working with the whistle-blowing site have also found themselves the subject of cyber-attacks. On Dec. 3, WikiLeaks's then Web-server dropped the website after a series of attacks, forcing the site to jump to Swiss domain wikileaks.ch. WikiLeaks could lose out on "7 digit figures" of donations a week without public donations, Fink told ZD Net. DataCell will file suit in the UK against Visa Europe. The company will seek an immediate injunction "to limit further damage," Fink said. Visa and MasterCard are vital to WikiLeaks because they facilitate small donations, Fink said. Currently, you can make a donation to the site via wire transfer. That usually requires a much larger donation. "Wire transfers are good if you want to transfer €10,000, but if you want to pay €10, the costs of the transfer eat up the donation," Fink said. "Visa and MasterCard are vital for the small amount donations, and that's around 99.9% of the donations."